The first teaser trailer for Ryan Murphy’s American Crime Story: The People v. OJ Simpson has arrived, and is every bit as chilling as we imagined. Featuring the voices of the miniseries’ stellar cast members – among whom are Cuba Gooding Jr, John Travolta, David Schwimmer, and Sarah Paulson – the teaser doesn’t reveal any imagery, but does set the tone of the upcoming show, which explores the event that made an “entire country stop and take notice”. “Everybody remembers where they were when O.J. Simpson, riding in a white Bronco, led the police on a low-speed chase all over Los Angeles. This marked the emergence of the 24-hour news cycle and the birth of reality television”, reads the trailer description, referring to the ex-NFL great Simpson’s infamous double murder trial, which captivated the US in the 1990s. Gooding Jr. takes on the leading role of OJ Simpson, while John Travolta, David Schwimmer, Courtney B. Vance, Nathan Lane and Evan Handler make up his ‘dream team’ of attorneys. 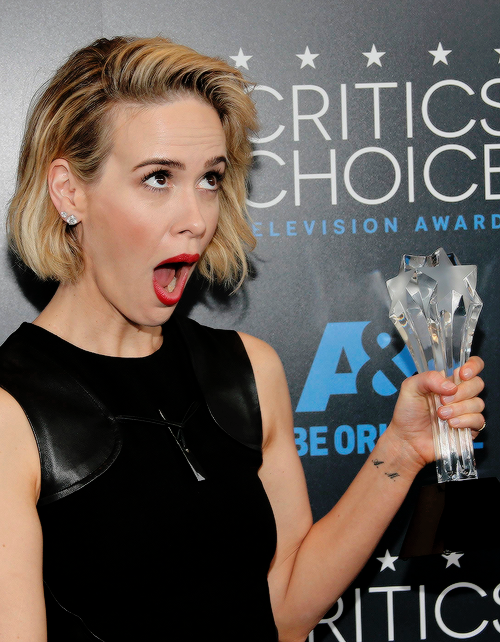 American Horror Story regular Sarah Paulson will stand on the other end of the courtroom as prosecutor Marcia Clark, alongside Sterling K. Brown, who plays Christopher Darden. American Crime Story: The People v. OJ Simpson is produced by American Horror Story‘s Ryan Murphy and Brad Falchuk, and has been adapted by Scott Alexander and Larry Karaszewski (Big Eyes). American Crime Story is slated to premiere in the US in 2016.